Ever have to write something, and find yourself putting it off until it’s too late to do it at all? Ever get the sweats looking at a blank screen, then say to yourself, “Hmmm, where’s that sewing project I’ve been meaning to do for the last six months, I need to get it done NOW”? Don’t worry, you are not alone. 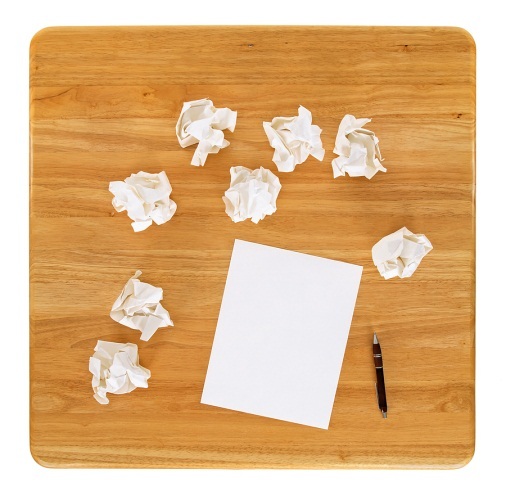 Every author, no matter how experienced, faces writer’s block from time to time. Here are some things I do to cope. Step One: Warm Up. The more you write, the easier it gets, like any other practical skill. The trick I follow when I’m challenged by a topic is to just sit down at my computer and start writing what I know about the topic, even if it sounds weird. It physically and mentally loosens me up, like a warm-up exercise. I also find that it captures what I really feel about the topic, and it helps me get excited about it. Step Two: Research. Then, I research online what I don’t know about the topic and add to the piece. Before I know it, I have several pages filled with stuff. Step Three: Pare Down. I then edit those several pages of stuff down to a reasonable amount of stuff (and then I might let my wife, Jean, edit the stuff into much Finer-sounding stuff, which she likes to do for fun, sometimes). It may be a little backward, but it works for me. Or, Take Small Bites. Another technique I follow is to break the writing task into small pieces, just doing a little at a time. Then, I take my dog Suki out for a walk to clear my brain in between those small pieces. Amazing what I think of when I return from the exercise of letting Suki drag me around the block with her. Good luck, and I look forward to reading some of your own ideas for unblocking writer’s block.